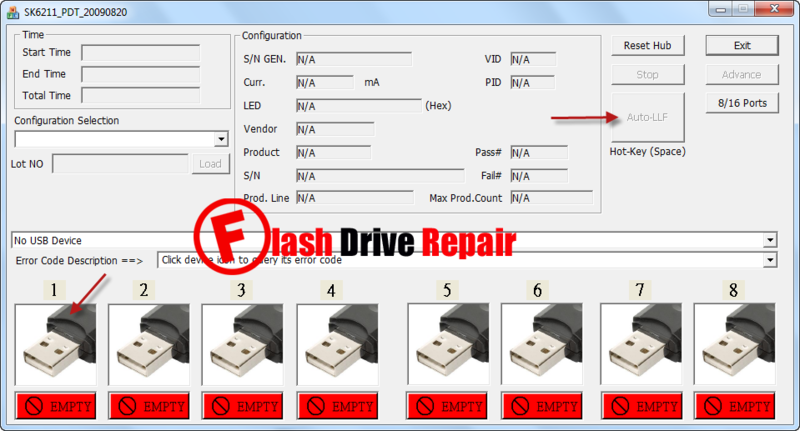 Format corrupted SK6211 USB flash drive controller .Download SK6211 PDT 20090828 format tool and update flash firmware of SK6612AB,SK6612ACAD,SK6621AA, SK6621AB, SK6625AA, SK6618AA and more Skymedi Chip controllers . Sk6211_pdt_20090828 tool is designed to repair corrupted Skymedi chip controllers .SK6211 PDT 20090828 can format the following corrupted skymedi flash controllers " SK62XX ,SK6612AB, SK6612AC,SK6612AD, SK6621AA, SK6621AB, SK6625AA, SK6618AA,SK6618AB,SK6211, SK6201AB, SK6281AA, SK6281AB, SK6288AA . sk6211_pdt_20090828.exe tool only with the Skymedi chip controller that we mentioned before. Download sk6211_pdt_20090828.rar from the download links below . Insert corrupted Skymedi usb flash drive to your computer . Extract sk6211_pdt_20090828.rar zipped folder and open sk6211_pdt_20090828.exe file . 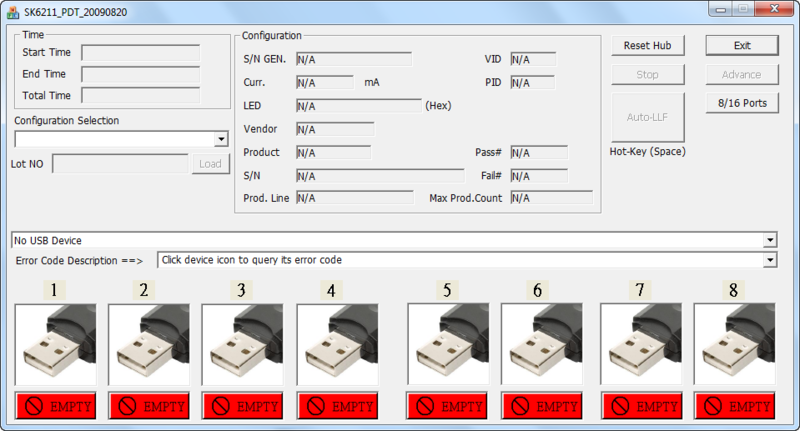 If your flash drive chip vendor is one of the supported controllers , you will see flash information appears on software interface . To begin update flash firmware , Click Auto-LLF . Note that updating flash firmware will destroy all data on the flash drive . Wait until finish reformatting your USB flash disk . terimakasih banyak,, ketika saya mau mengextrak file rar nya meminta passwrd... dan saya membutuhkan passwrd?? thank you very much,, when i want mengextrak rar file it asks passwrd ... and I need passwrd ? ?